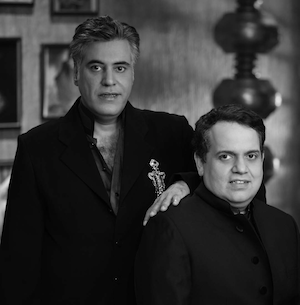 Abu Jani and Sandeep Khosla have built a 25-year partnership that has included designing for India’s leading actors and actresses, working with directors on costumes for epic films such as Devdas and Umrao Jaan, and building a brand that exudes luxury, artistry, and tradition. Today, they have retail stores in Delhi, Mumbai, and Bangalore. Jani and Khosla have also branched out from fashion to interior décor, styling homes of families such as the Bachchans. Now, Jani and Khosla are ready to tackle a complete Bollywood project, transposing their elegant creations from the runway to the big screen. The richness and beauty in their creations is exceptional, making them one of the premier designers in the industry in India and abroad.